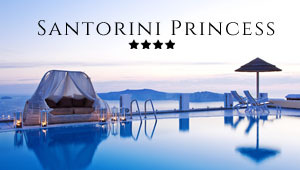 The song Santorini by Yanni: The phenomenal composer Yanni was born in Kalamata, Peloponnese, and he is a self-taught pianist, who began his music career performing for his family. Starting off with writing his own music, Yanni has come a long way rightfully earning the title of being one of the greatest Greek keyboardists and composers. One of his best compositions includes Santorini inspired by the famous volcanic island, which is part of the Yanni- Live at the Acropolis album. It was recorded live at the Herodes Atticus Theatre in Athens in 1993 and was released the following year as an album and live video.